This saying is also found in Luke 13:34 as Jesus is progressing towards Jerusalem. This idea of protection and tender concern is also found in passages such as Psalms 17:8, 36:7, and 91:4. 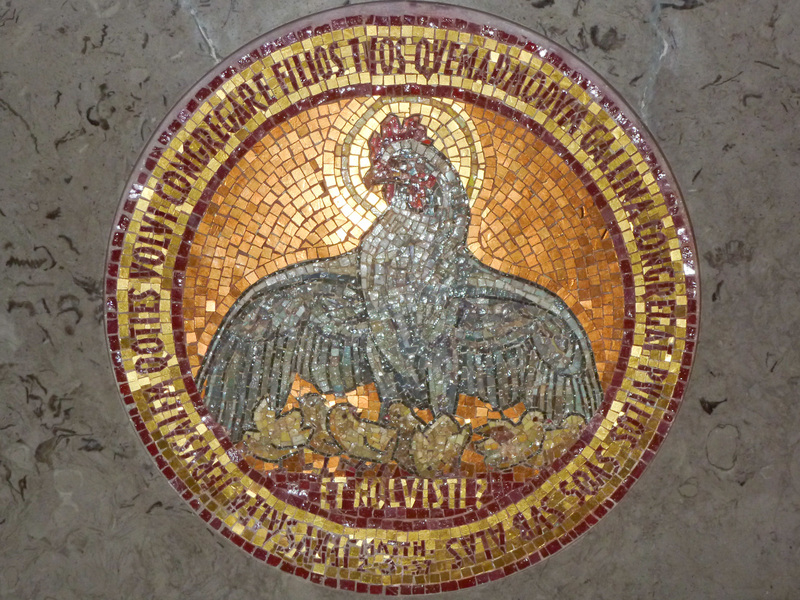 In glancing at a number of commentaries on the Matthew 23 and Luke 13 passages, all I found were general statements about “protection” and “tenderness.” However, I once heard a lecture by N. T. Wright where he seemed to suggest that what was involved here was a “barn yard fire,” where the mother hen gathered her chicks under her wings. After the fire swept though the barn yard the mother hen had been incinerated, but the chicks under her wings were still alive—the hen sacrificing her life for her chicks. Again, the hen sacrificing her life for her chicks. I had not heard such an informative comment on this passage before—but then I am not a farmer, nor the son of a farmer! The altar on which the above mosaic is found is located in the Roman Catholic Church Dominus Flevit that commemorates Jesus weeping over Jerusalem (Luke 19:41) as he entered the city from the east. 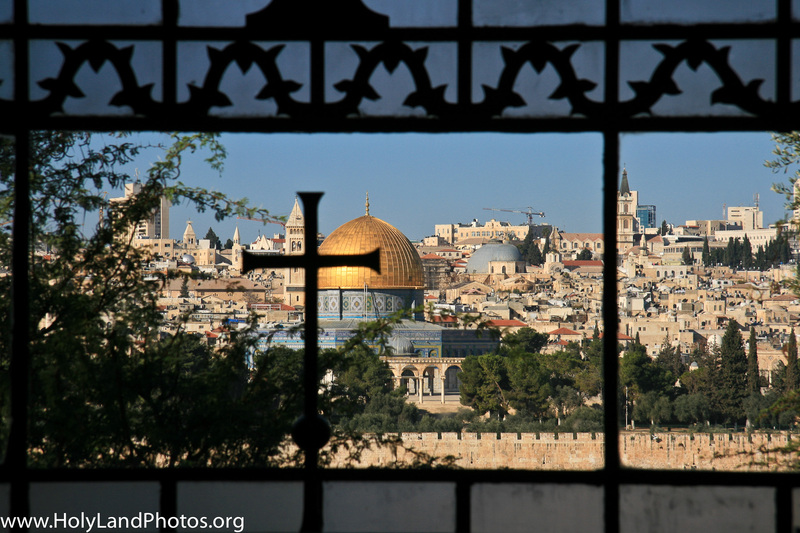 This entry was posted in Biblical Theology, Churches, Jerusalem, Places in Jerusalem and tagged Chicks, Dominus Flevit, Hen, Jerusalem, Matt 23:37, mount of olives, Roman Catholic Church Dominus Flevit. Bookmark the permalink. As one who has raised birds for 20 years, perhaps my observations will help explain the figure of the hen with chicks. My experience has been with small hookbills and various finches but, to some degree, they are similar in manner to chickens. The hen is “territorial” in her nest in that she is the great defender and totally fearless. The roosters (males) only fight among themselves for dominance while the hen protects her chicks always. The hen broods the eggs until hatching and provides heat for the tender chicks until they are fledged. Yes, birds have distinct calls for alarm, to maintain contact with the flock, and other calls too as another reader has said. So the hen is both the refuge from danger and for warmth. I am not sure it is necessary to read substitution in the figure but certainly she will fight to the death in any attack. To me the figure of the hen and chicks speaks of “overall care and protection” that God has for His children. The people of Jerusalem chose not to accept God’s care and so had no savior when things caught up to them. 20 years of raising birds! Thanks for your helpful comments.